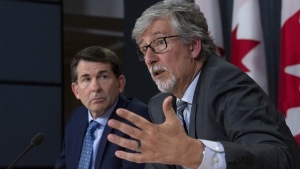 OTTAWA -- The new federal watchdog for victims of crime says rules meant to give victims and their families louder voices in the justice system have fallen short. The previous Conservative government introduced what it called a victims' bill of rights almost four years ago that allowed victims of crime to get information about offenders in the corrections system and have their views taken into account when decisions are made about them. The regime to enforce those rights doesn't go far enough, says Heidi Illingworth, who late last year became federal ombudsman for victims of crime. In an interview, Illingworth says she wants to see the regime strengthened to give victims "legally enforceable" rights because "we still are not there yet." "To me, it doesn't go quite far enough," Illingworth said. "If we've given rights in legislation, there has to be a remedy to that right otherwise it's not an actual right. That's what the problem is right now, is that there is no way to enforce the rights that have been given to victims." She used the example of how relatives of Tori Stafford weren't able to provide their thoughts on transfer decisions for the two people convicted in the eight-year-old's 2009 murder, finding out only after the killers had been moved. Terri-Lynne McClintic had been moved to an Indigenous healing lodge, which corrections officials later reversed, and Michael Rafferty from a maximum-security prison to a medium-security facility. "It's a second victimization to many folks when they're dealing with these big systems," Illingworth said this week. "They're not able to give input. A decision is made and then they're informed after the fact." 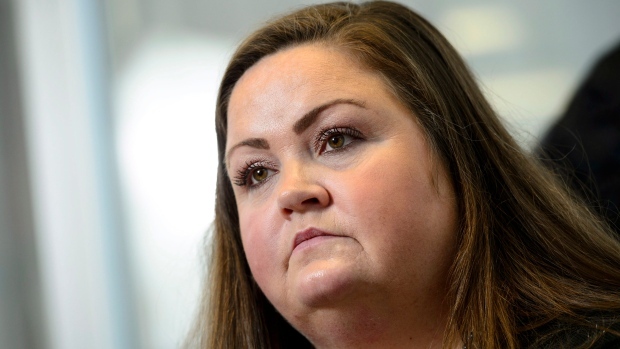 Illingworth plans to launch a special review of the victims'-rights framework to highlight the issue and provide recommendations for the government to consider. In late September, Illingworth became the third person to hold the post of victims watchdog, after the Liberals took months to fill the position vacated by Sue O'Sullivan, who had held the post for seven years. Prior to her appointment, Illingworth spent two decades at the Canadian Resource Centre for Victims of Crime, having become interested in victim services during her post-secondary studies when she did a placement with a victims agency. Her corner office has the usual pictures of friends and family, but there is also Indigenous art Illingworth brought home after a victims conference nine years ago in the Northwest Territories. Indigenous people are over-represented in the justice system as both victims and offenders. Illingworth said the artwork reminds her of the need for more holistic services for Aboriginal victims, such as access to elders for traditional treatments, and provide better supports on- and off-reserve. Those and other victims' services need more money, she said. Last month, the Supreme Court of Canada struck down a law requiring people convicted of crimes to pay fees for victims services. The surcharges have existed since 1988, but the previous Conservative government removed judges' authority to waive or lower the fees when they deemed them inappropriate in particular cases. The Liberals introduced legislation in 2016 to return discretion to judges, but later folded the measure into an omnibus justice bill now before the Senate. Illingworth is hopeful the bill, C-75, will soon become law, restoring most of the money stream but allowing judges to make exceptions. "The judge needs to have some discretion, but it's really, really critical that victims' services get funded properly and not just after-thought funding. We have groups and communities who don't have enough," she said.